Feeling drained and down lately? Who have you been keeping company with? Ultimately, we all want two things in life… to feel good and to have control. We can’t always have either, both or one of the other at all times when it concerns others but we CAN CONTROL how WE FEEL. I could literally end the whole story with that last sentence because it’s JUST THAT SIMPLE. As entrepreneurs, we must consider that there will be naysayers, people who are jealous and people who will not believe in what we do because they can’t see what we see for themselves. There are others who are just stuck but truth be told when you are in a race for the finish line if you take time to stop, look back or even look to the side you will lose time. This is absolutely not to say that all negative people are the way they are because they simply choose to be that way. Some people have had horrific experiences in their lives and they have lost all faith in mankind. Nevertheless, they are not alone. MANY people have had horrific experiences but they CHOOSE to take the high road. As a matter of fact, many entrepreneurs that I have come across have horror stories to tell about the way they grew up, abusive relationships or even extreme poverty growing up but they have made a decision to ensure that their lives and their children’s lives will be very different. This past weekend, I hung out with an old friend who is by far the most negative person I know. She constantly complains about everything and her presence is an extreme weight on one’s soul. I finally had to tell her how negative she is and how much she complains about EVERYTHING. I also told her that most people will not say a word, they will have a bad experience with you once and you will never hear from them again. I get why people do that. When you tell someone how negative they are, they don’t listen because they are not into taking responsibility for their actions, they are into blaming everyone else. Even telling them how negative they are is draining. 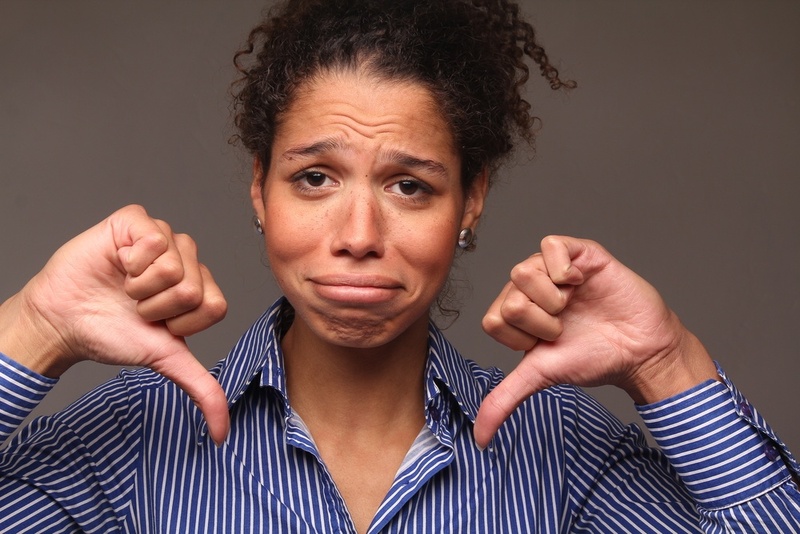 Here are a few tips to steer clear of the negative people ESPECIALLY in your business. If you let them infect you they will also infect your bottom line. Taking the time to tell a negative person about their habits and ways is indeed a waste of time. As stated above, they are not here to hear what you have to say to help them, they are only interested in how they can rob your positive energy to feed on. It’s like a vampire out for blood. Once he gets what he wants he leaves you for dead and searches out the next victim. You are trying to save them but they are trying to rob you. You have what they want, and they have what you DON’T want so why risk it. If a person can’t figure out why their phone never rings or they are not invited to events it’s up to them to put two and two together because ultimately it’s only them who can change their situation by shifting the way they think. When these things happen it is not the world but it is US. At times we have been given horrible advice like “It’s not always about you, it’s about them and what they are going through.” Nevertheless, if you continue to get the same reactions from several people it IS about YOU. If you are trying to grow you must make sure you aim for the most positive experiences in your life and business. All will not always be rosy but there are a lot of things we can eliminate before they get out of control. Sometimes negative situations can be disguised as positive. For example. There are very few industry events held in Los Angeles anymore and the ones that are here are for the new breed of industry people. Unfortunately, there are some older industry people that can’t let go of the past. There are those who don’t want to move on and let younger people get their shot. They want to hang on to what was and they often talk about how much they miss the old industry. These are people who can’t embrace change because they have not prepared themselves. I don’t feel that way. I gladly embrace the kids who are coming up in the industry as I am honored that I got my chance too and I try to provide opportunities to younger industry people through my industry vehicles. In addition, I have constantly stressed over the last 20 years of producing Radio Facts that those who diversify their talents will have the longest careers. A couple of months ago, I was invited to a huge lot party at Capitol and Motown records in Hollywood, There was great music and food and great displays and just about every major vet and new artist on the Capitol and Motown labels were there. The crowd was exciting, upbeat and positive and they embraced the new industry. The key I want to stress about this event was it was a celebration of the FUTURE of the industry not the past. I don’t believe in going to industry events where people thrive of what was or used to be. That’s because I don’t consider myself to be done with the music and radio industry yet. I still have ideas and I embrace change at the same time and as long as the industry will have me, I will be here in some capacity. I don’t find great joy in talking about whose sick, who is dying and who is homeless when I get dressed up to go to an event unless it’s an actual funeral. I’m not in denial but there is a time and a place for everything and it should not be the THEME of an event because it is depressing and it signifies the end. The end of one’s journey and career. There MUST be balance and that means we must have control of our options in our business. In the music industry, I personally don’t consider a lot of people to be my true friends. I would consider, out of thousands of people I’ve met over the years, maybe 20 as true friends. This is a business and it’s about relationships and what you can do for people, initially, I didn’t get that and at the beginning of my career I was devastated when I was between jobs and the people who I thought were my friends really were not. As I got older I understood how business works. People deal with you based on what you can do for them and that’s (mostly) how they form their relationships with you. I consider my clients my closest allies in the industry because they believe in what I do and they support me and I’ve known most of them over 20 years. The fact that I am an entrepreneur speaks volumes about their faith in me and I truly honor that. It’s really not personal, it’s just business. Who is it in your business that you consider your true allies? Know that those are the people you must focus on and support.